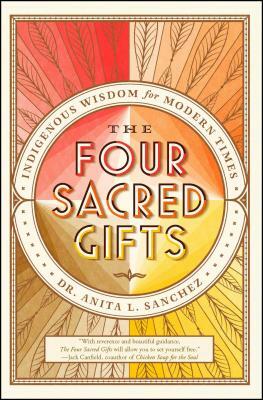 In The Four Sacred Gifts, visionary international business consultant Anita Sanchez, PhD, reveals the timely prophecy entrusted to her by a global collective of indigenous elders—four guiding gifts that “will allow you to set yourself free to live your most successful life…learn how to forgive, to heal, to unite with all life, and to revitalize hope” (Jack Canfield, co-author of Chicken Soup for the Soul). Within these pages, you will find deep wisdom of elders from all continents as they come together to give you four sacred gifts: the power to forgive the unforgivable, the power of unity, the power of healing, and the power of hope. These gifts will guide you to transformation, and support your journey to wholeness. By following the powerful principles, lessons, and tools found in this book, you will experience personal breakthroughs, become a force for conscious, societal evolution, and learn to live in deeper harmony with all of humanity.